McNae's Essential Law for Journalists continues to provide definitive practical guidance on the effects of the law and the Press Complaints Commission Code of Conduct on newsgathering and publication. McNae's is endorsed by the National Council for the Training of Journalists as the essential text for students on journalism courses. It is the indispensable, complete and portable resource in the armoury of the practising journalist or editor; used in newsrooms, court rooms and at public meetings across the country. The authors' non-technical language, engaging writing style and use of topical examples makes the law clear and brings it to life. The nineteenth edition of this acclaimed book has been made even more user-friendly with a two colour text design and the inclusion of summaries and practical checklists to meet the needs of students and busy journalists who need quick answers to the questions they face in their day-to-day work. Online Resource Centre The book is complemented by a web site that provides a test bank of questions, updates, web links, key cases, latest news, and a "Does Your Story Contravene the Official Secrets Act?" table, along with a detailed explanation of the Official Secrets Act of 1911 and 1989. This is the 19th edition of McNae's, and it doesn't take long to see why. It's updated in response to changes in legislation, and if you rely on having an accurate understanding of the law for journalism, it will almost certainly pay to stay up to date. This is a set book for journalists doing NCTJs, and, from our point of view, an essential reference in our PR department -- alongside the Press Complaints Commission code poster up on the wall. Journalism and the law are two things on which many people have opinions. There are lots of people who will quite happily say in a meeting "it's against the law to...", "newspapers are required by law to...", "they won't be allowed to print...". Unfortunately, a lot of this 'knowledge' is second or third hand, and much of it dates back to legislation or cases that have now been superseded. A lot of the rest of it is gleaned from conversations in pubs, and articles in newspapers. In other words, of very little value. This book is the antidote: updated from the most recent changes and the most recent cases, and adopting exactly the right tone when it comes to describing things which are subject to being tested in the courts. And it's an awful lot cheaper than ringing up a lawyer. Strongly recommended for anyone who actually needs to know. As a working journalist, this is the only book I (and every colleague I've ever worked with on any newsdesk) reach for time and time again. Not only is it bang up to date, it explains all aspects of reporting law clearly and succinctly. Unsure of what libel is? How to defend against it? Are you in contempt of court? 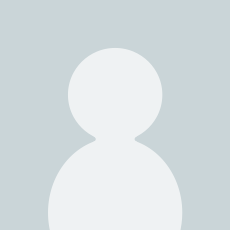 Breaching the Official Secrets Act? Taking photographs of children? Invading somebody's privacy? McNae's knows. And it's written in a way to tell you quickly. It's known as The Bible in the regional newsrooms I've worked in all my life - and it's easy to see why when you read it. I can't recommend this highly enough: EVERY reporter should have their own copy. What more can be said? A complex and thorough guide to the many in's and out's of Journalism law, and a required purchase for any UK Journalism student. 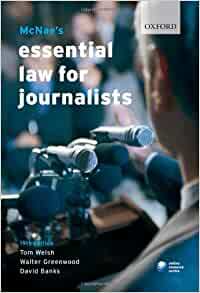 This is the key text for the NCTJ media law subject. I don't think I'd read it for fun but it got me two As in my exams!